I am amazed and humbled by the creativity of my fellow bloggers!! 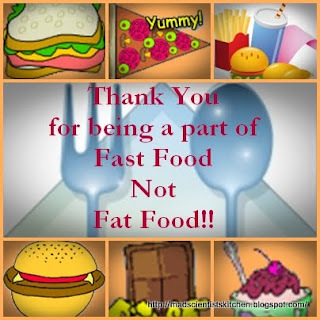 When I was hosting the event Fast Food not Fat Food I must confess I was not very confident about getting many entries. But there were entries and such amazing ones!! Thanks all of you!! You guys are amazing!! Without much of a talk enjoy this visual feast. It does not end there make it and enjoy it!! But first wait I want to present to all my friends here who have participated here with a small token of my love and appreciation for I would not be writing this round up if it were not for their contribution. Also I would like to thank Priya of Now Serving letting me host this event. Now lets begin with out amazing tour of all that is dished out. Bored to cook but want something healthy for lunch Try this Nutty Tofu & Shell Pasta Salad sent in by Priya Sreeram of Bon Appetit. Satiate your sweet tooth with this lovely lovely Wheat almond & palm Sugar Cookies again that Priya Sreeram of Bon Appetit has shared. Will you prefer fruits for dessert? Try her Zesty Mango & Pear Bites!Simple and delicious. 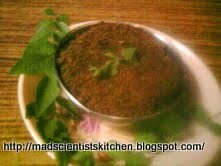 Want a cool Shake fast... but must be healthy try this Blueberry & Dates Puree/Shake. Lovely it will hit the spot. Kids love what is served in the restaurants don't they. 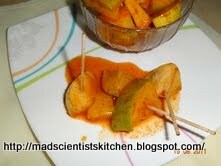 So was I pleased when Anzz sent me her entry of Fried Apple Pies that imitates MD was I complaining? Its healthy and better for my pocket. Enthusiastic Kalyani of Mom's Chef sent me 4 entries each amazingly healthy try Kothimbir Vadi Baked with your evening tea. 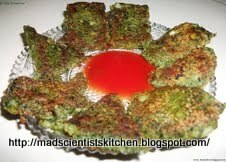 No then try Baked Samosa. Yummy no! Samosa and no oil?? Wow !! 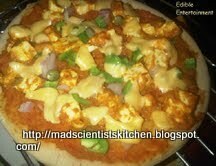 Now Do you want Edible Entertainment try this Tandoori Panneer Pizzaa that Kavi has dished up. Slurp comfort food! 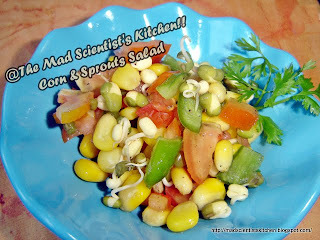 Next on the menu is Corn Kababs! Wow Kavi love them! Do you like figs? 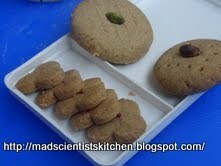 Honey nuts?Then try this yummy dessert sent by La of Food Slice Honey Baked Figs with Cinnamon and Almonds. Hmmm! 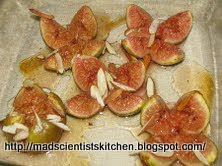 I am waiting for figs to hit the markets! Take a look at Amy from Food Corner's offerings! 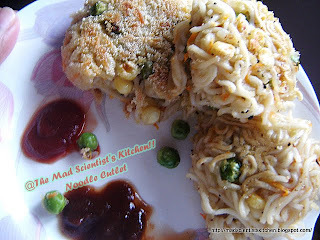 try these delicious Fried Instant Noodles with Vegetables and you will be panting for more. ever had I thought making burgers Amy way? Uses the leftovers and is healthy too. But if you prefer rice then Amy has that too. Wow what a lovely Fried Rice with Mixed Vegetables. Want a Healthy Bite? 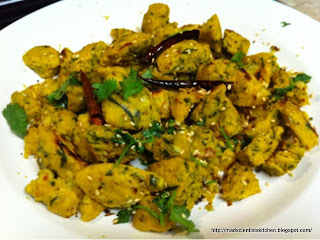 How about Charu's of i'm a foodie'sHealthy Bites that whet your appetite. 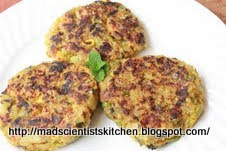 Now of course Priya of Priya's Easy N Tasty Recipes does not need any introduction she is amazingly innovative and she has sent 3 yummy entries Steamed Carrot Cornmeal Cake on reading her recipe I was wishing corn meal was available in Goa. Last she sent this guilt free snack, yummy and delicious Steamed Chickpeas Dumplings now snack away without any fear of gaining weight..
Now indulge in some Kasoori Methi Poori Namkeen Poori sent in by Ashwini Deshpande of Indulge-Ash's corner. Hungry Kya? Gujrathi chlega? 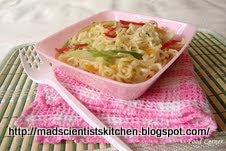 Try Deepthi's Cabbage mixed Muthia all microwaved!! 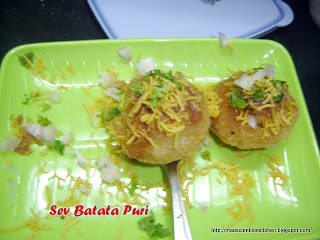 Try something Tangy and Spicy from Shuchi's place of the same name she has sent Soya Aloo Patty!! Hmm I seem to be getting hungrier and hungrier!! You always thought hot dogs meant meat did you not ? Wrong it can be made veggie too! 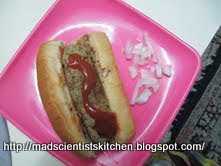 Don't believe me have a look at Pia CookHealthy of amazing Black Chickpeas hotdog! 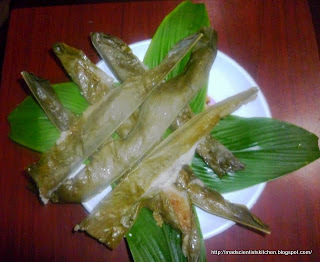 Mythreyi of Yum! Yum! Yum! 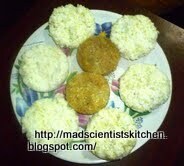 made these Soy Crumbs ; White Rice Patties juts to participate here! Thanks Mythreyi! It certainly is Yum!Yum! Yum! 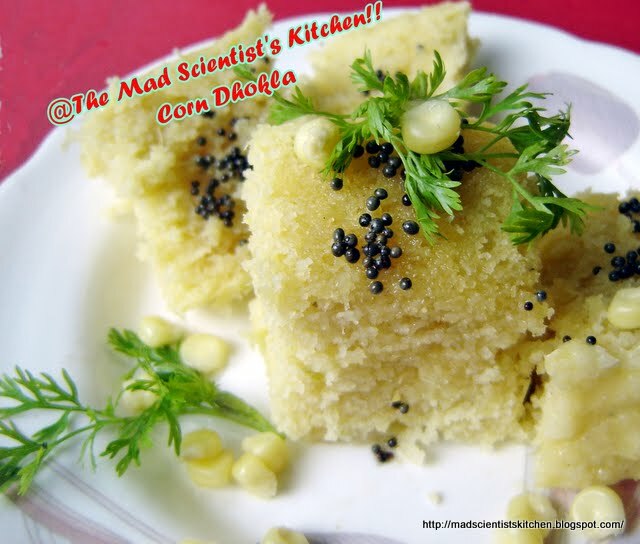 Healthy Instant Corn Dhokla the entry that fetched me maximum views on my page. 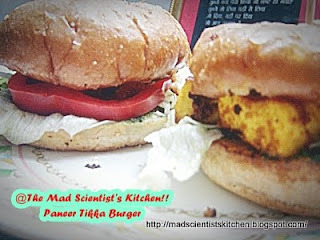 And the Paneer and tofu Tikka Burger that I made for Blog Hop Wednesday where we visit different blogger friends and explore their blogs. Please let me know if I have missed someone out I will rectify my mistake. Thanks once again to all of you for joining me in my event and Priya thanks for this opprtunity. OMG what a roundup.,. 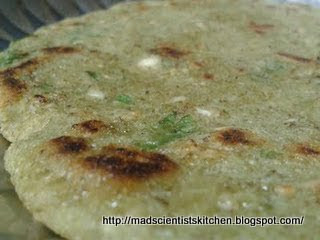 I am hungry looking at the dishes and the talent of my blogger friends. Thanks Archana, you deserve a bigger applaud for the work behind the event. 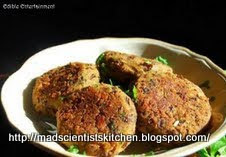 Wonderful medley of yummy recipes. Wow..Archana..This is a fantastic roundup..!!!! Off now to check out all the yummy entries!!! lovely roundup Archana ! have sent you a detailed mail on some correction on my entries. do check it out ! Wonderful collection, Archana :) Love all your little intro sentences :) And I love the participation award!!! wow, that looks like a great roundup. Thanks dears. Love you guys.